Each penal institution conducts assessment of the individual characteristics and circumstances of each inmate (treatment assessment), utilizing specialized knowledge and techniques, such as medicine, psychology, pedagogy, and sociology. Detailed assessment is conducted at designated penal institutions (assessment centers) for newly sentenced inmates aged less than 26 and those inmates who will be enrolled in special guidance for reform. After the assessment (including assessment at assessment centers), penal institutions designate one or more treatment codes to each inmate at the commencement of the sentence. 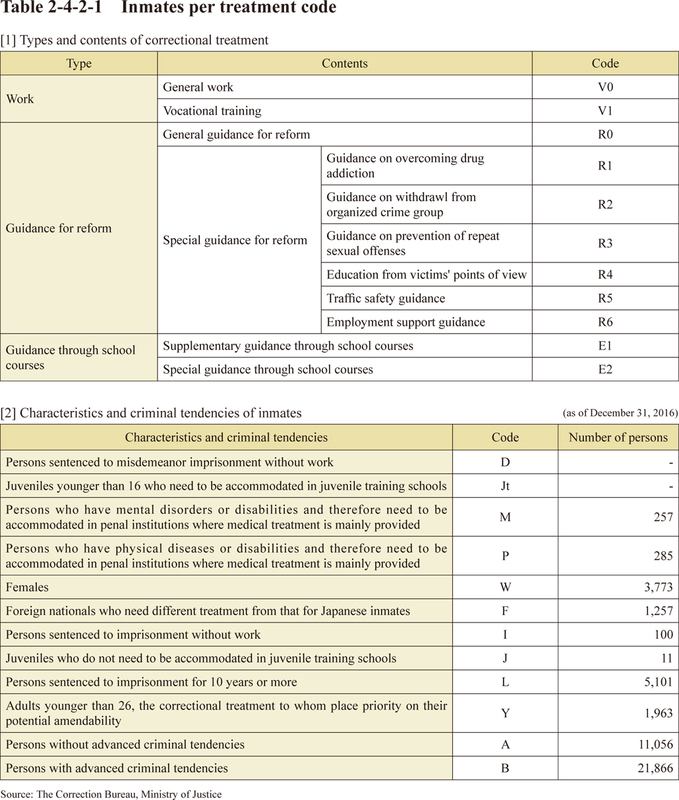 The treatment codes take into account the types and contents of correctional treatment, and characteristics and criminal tendencies of the inmate. 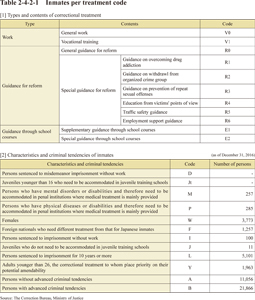 Table 2-4-2-1 shows the number of inmates as of the end of 2016 by their treatment codes.